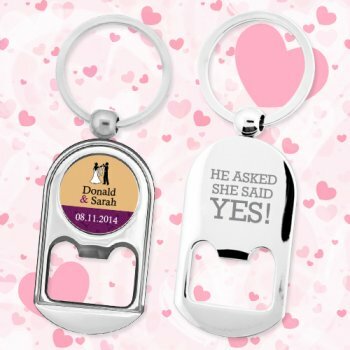 Personalized Verdugo wedding favor bottle opener keychain is becoming one of the most favored wedding favor items because it features a bottle opener and key holder. You can get your initials laser engraved on it prior to gifting. Offered at incredible prices, these metal keychains are perfect for individual or complimentary gifting. You can seek it for gifting during pre-wedding events and post wedding bashes. From their polished chrome body these metal bottle openers are impressive. 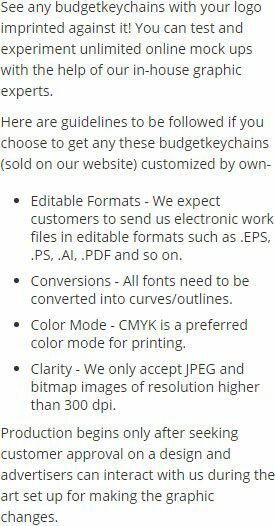 Request a quote to know what you may save on bulk orders of these custom Verdugo bottle opener metal keychains.